As we come to the end of our exploration of why Christians sing, we come, also, to the end of ourselves. That is, we realize that our best attempts to glorify God through singing fall short for three reasons. Limited time. Families, jobs, and responsibilities keep us from singing to God 24/7. Limited understanding. Our finite intellects and innate sinfulness keep us from seeing how great God really is. Limited strength. Despite my desires to the contrary, I can't jump, clap or sing for as long as I once could. But there will come a day when our time and strength will be unlimited, and our understanding of God will be permanently, endlessly increasing. On that day, the song around God's throne -- the song we now perceive as only a dim and distant sound -- will be our immediate, joyous reality. What might that be like? ... The army began to sing, perhaps hundreds of thousands, perhaps a million. I added my voice to theirs and sang the unchained praises of the King....As we sang to the gathered throngs of [heaven], the sheer power of their voices, our voices, nearly bowled me over....Our voices broke into thirty-two distinct parts, and instinctively I knew which of them I was made to sing. "We sing for joy at the work of your hands...we stand in awe of you." It felt indescribably wonderful to be lost in something so much greater than myself. There was no audience, I thought for a moment, for audience and orchestra and choir all blended into one great symphony, one grand cantata of rhapsodic melodies and powerful sustaining harmonies. No, wait, there was an audience. An audience so vast and all-encompassing that for a moment I'd been no more aware of it than a fish is aware of water. I looked at the great throne, and upon it sat the King...the Audience of One. When we completed our song, the one on the throne stood and raised his great arms and clapped his scarred hands together in thunderous applause, shaking ground and sky, jarring every corner of the cosmos. His applause went on and on, unstopping and unstoppable. And in that moment I knew, with unwavering clarity, that the King's approval was all that mattered -- and ever would. God gave us singing to develop and deepen our relationship with Him until that day when we will wake to find ourselves singing directly to Him. And what a day, what a song that will be. I want to get as much practice as I can. P.S. We'll start a new worship topic next week. Stay tuned. 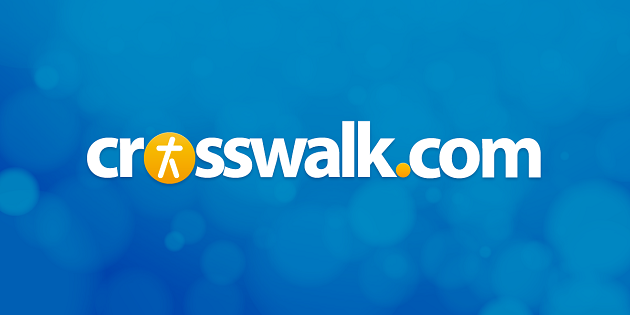 Sing along with the great Christian music radio broadcasts at Crosswalk.com Music.